With some help from an "Easy Rider." It’s that time of year again when typically some of the best commercials are produced for the Super Bowl. 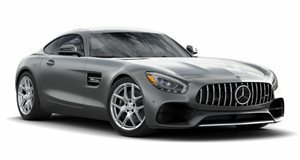 Mercedes-Benz USA is taking advantage of the millions of viewers for the February 5th game night with its new Coen Brothers-directed commercial starring the new AMG GT Roadster and the one and only Peter Fonda. With Steppenwolf’s "Born to be Wild" playing, Fonda returns as Captain America from the iconic cult hit “Easy Rider," only this time he’s more of an "Easy Driver." Apparently it’s time for him to trade in the Harley-Davidson for something somewhat more civilized. The commercial opens up in desert biker bar, "Tiny’s," on Route 66 (where else? ), and the bikers are as rowdy as you’d imagine. Think plenty of drinks and arm wrestling. Upon realizing that someone has boxed in their bikes, they go outside to confront the culprit, only to discover it’s Fonda and his new twin-turbo 4.0-liter V8 roadster. "The film is a really successful media kick-off into our 50th company anniversary," stated Mercedes-AMG chairman Tobias Moers. "We are delighted that the new Mercedes-AMG GT Roadster is going to be playing a major role at this year’s football final. Freedom and adventure are the perfect fit for a car that provides the most intensive way ever to experience true driving performance."